Oxygen Media recently announced a partnership with Broadcastr, the new social-media platform for sharing audio, to offer exclusive audio content from Oxygen talent and fans on the Broadcastr app. The television network is the first to embrace location-aware audio. At its 2011 Upfront event at Gotham Hall last week, Oxygen unveiled the partnership, which will feature content from stars and shows and give fans the opportunity to share their own stories and points of view. Broadcastr is at the forefront of location-aware mobile technology. The free mobile app, available on iPhone and coming this month to Android, allows users to hear audio stories, opinions, and memories tagged to their physical location. 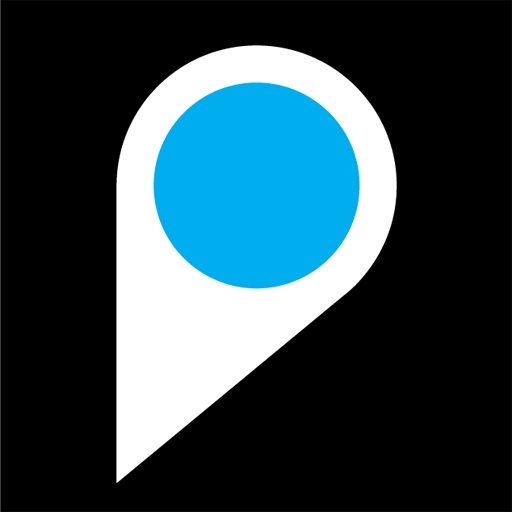 The app creates a unique experience: Users can take a walk and ‘tune in’ automatically to a stream of audio stories about their surroundings, such as a friend’s review of a local restaurant, a tour diary from a favorite band pinned to visited cities, or an oral history pinned to a historic site. The app is also an intuitive, easy way for people to create and share their own recordings in real time. In addition to user-generated content, Broadcastr features precedent-setting stories from over 100 cultural, arts, historic and entertainment organizations; these featured partners use the platform to amplify their messages and engage with their communities. Oxygen and Broadcastr will kick off their collaboration on June 1 with a series of stories from Paris Hilton, who is recording and posting her “10 favorite places around the world” on Broadcastr for fans to listen and talk back. “The World According to Paris”, premiering on June 1 at 10PM ET/PT, is a new docu-series on Oxygen revealing the real life behind-the-scenes of the model, singer, actress, entrepreneur and heiress. On Broadcastr, fans will hear an intimate portrait of Hilton as she shares stories in her own voice. Broadcastr is a new social-media platform for location-aware audio. Our free app — available on Web, iPhone and Android — lets people easily create and share recordings on an interactive map. Mobile users can stream location-aware audio about their surroundings automatically. We’re building a digital layer of history, memory and voice in the world around us. And coming soon to Android. Oxygen Media is a multiplatform lifestyle brand that delivers relevant and engaging content to young women who like to “live out loud.” Oxygen is rewriting the rulebook for women’s media by changing how the world sees entertainment from a young woman’s point of view. Through a vast array of unconventional and original content including “Bad Girls Club,” “Hair Battle Spectacular,” and “Tori & Dean: Home Sweet Hollywood,” the growing cable network is the premiere destination to find unique and groundbreaking unscripted programming. A social media trendsetter, Oxygen is a leading force in engaging modern young women, wherever they are, with popular, award winning features online including http://www.OxygenLive.com, the real time social viewing party that is also available as an app for the iPhone and iPad, as well as innovative tools shopOholic and makeOvermatic. Oxygen is available in 76 million homes, and can be found online and on mobile devices at http://www.oxygen.com. Follow us on Twitter at http://www.twitter.com/OxygenPR. Oxygen Media is a service of NBCUniversal.